A must try spot for German eats. 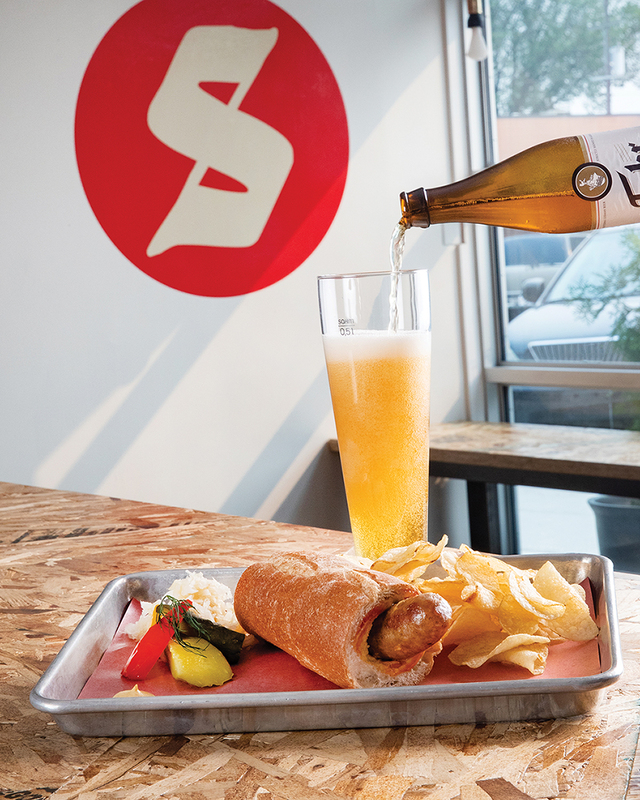 Tucked in an unassuming space behind the Brewery District is Salz, a spot with a menu that’s small but packed full of flavour – and it’s a great place to satisfy any German food cravings. When I was in, there was a choice of three brats – classic, ksekrainer, and spicy Hungarian. I opted for the spicy Hungarian – it could have used a bit more paprika to really bring out those Hungarian flavours and it didn’t have a whole lot of heat, but the mixture of pork and beef was flavourful and juicy. 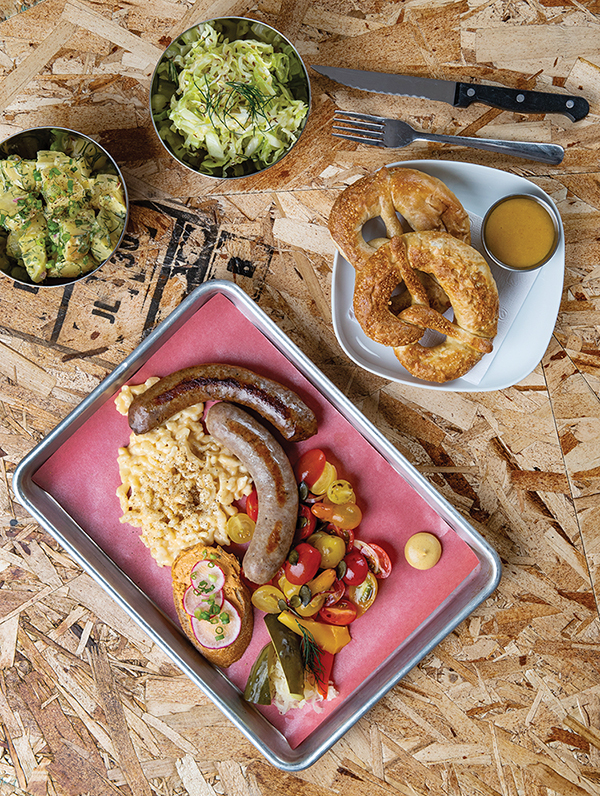 You have the option of getting the brat in a bun, but go for the brat on a plate – it allows the flavour of the sausage itself to shine, and you get a mouthwatering choice of sides. The cheesy sptzle is a must try – the noodles coated with creamy cheese sauce are basically a German-inspired version of the mac and cheese you remember from your childhood, comforting and delicious. And, if you’re not afraid of doubling down on the carbs, the German potato salad is also a plus, with a mustard-packed tang. It’s all served with a generous dollop of mustard – a necessity for any brat – and pickles.